NOTE: This product is a Pre-Order and is not currently available. The estimated release date is June 2019 (subject to change). 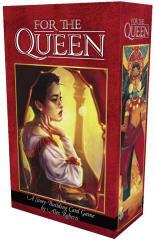 For the Queen is a story-building card game about love, betrayal, and loyalty.